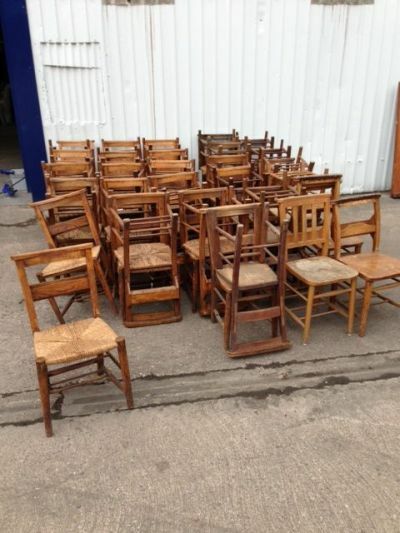 This is a job lot of 50 antique chapel chairs. We have moved to a new warehouse and are currently selling off old stock. 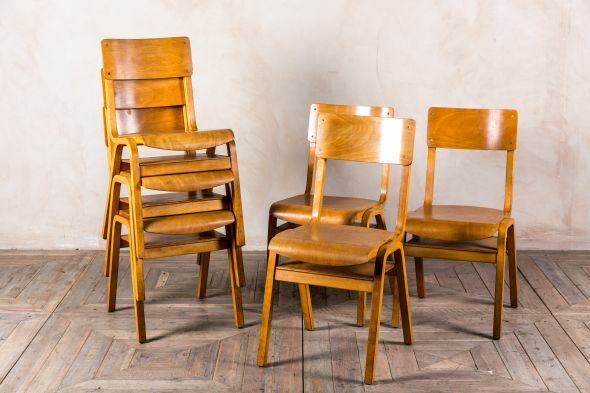 We also have a job lot of old school science stools - please see our other listing. 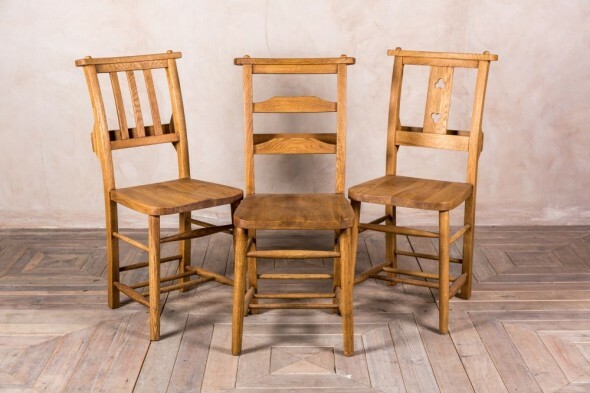 This set consists of a mixture of solid seat chapel chairs and rush seat chapel chairs (approximately 85% of these chairs have a rush seat). They are of various sizes, and all need some attention. They are serviceable, however, they do require work. Please note - this is a job lot. 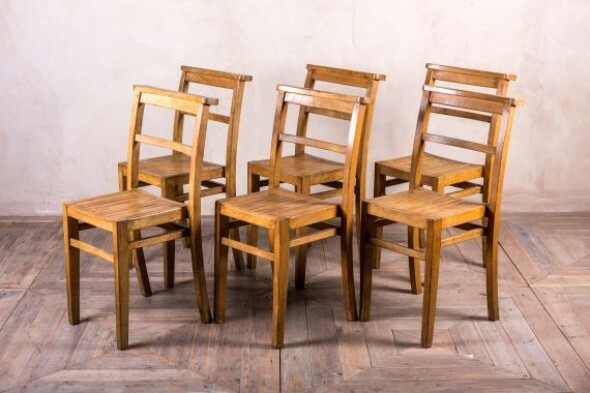 The price is for all 50 chapel chairs.